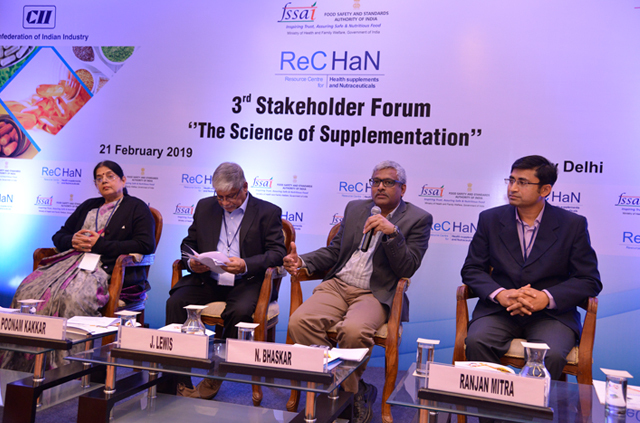 ReCHaN 3rd Stakeholder Forum "The Science of Supplementation"
Panel Discussion on ‘Strengthening the Sampling and Testing Ecosystem: Health Supplements and Nutraceuticals. 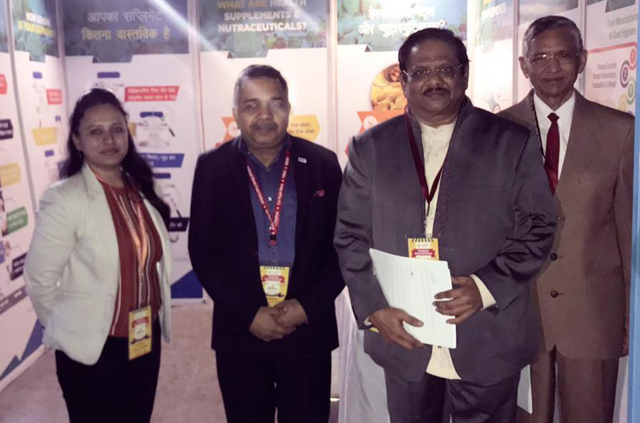 L-R: Dr. Poonam Kakkar, Chief Scientist, IITR: Dr. J. Lewis, Scientific Advisor, ReCHaN: Dr. N. Bhaskar, Advisor-QA, FSSAI: Dr. Ranjan Mitra, President-AOAC. 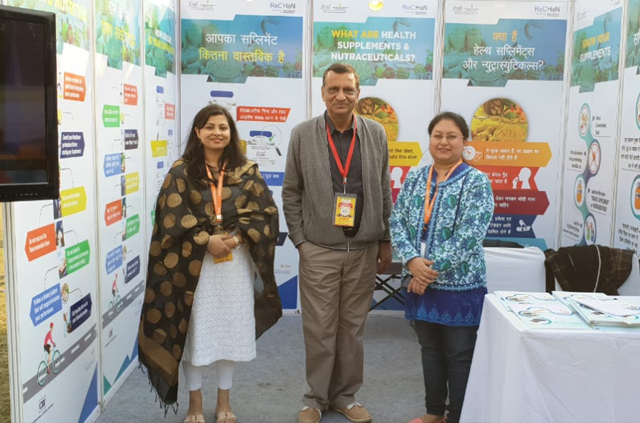 L-R: Ms. Meetu Kapur, Executive Director-CII: Mr. Pawan Agarwal, Chief Executive Officer, FSSAI: Ms. Rita Teaotia, Chairperson, FSSAI: Prof.
Manfred Eggersdorfer, Professor of Healthy Ageing-University Medical Centre Groningen, Netherlands: Mr. Simon Pettman, Executive Director, IADSA. 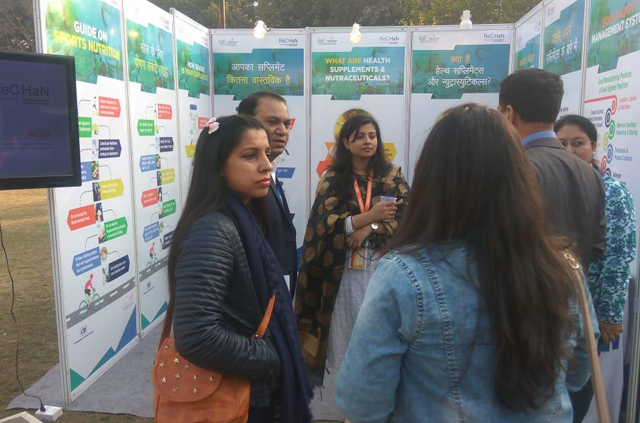 14-16 December 2018, IGNCA, New Delhi. 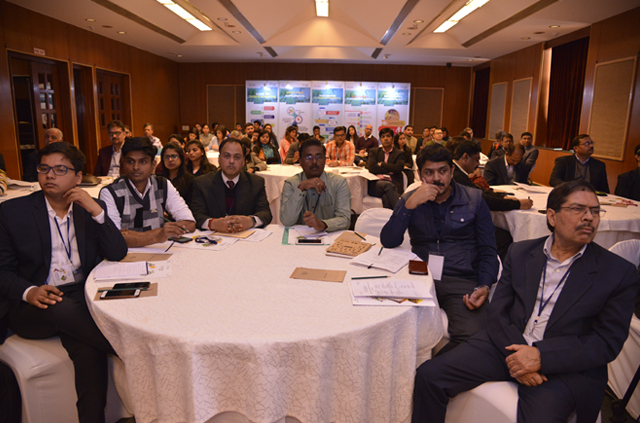 Participants attending ReCHaN Workshop on Regulations & Food Safety Management Systems-Health Supplements & Nutraceuticals at Hotel Royal Plaza, New Delhi on 19th & 20th September 2018. 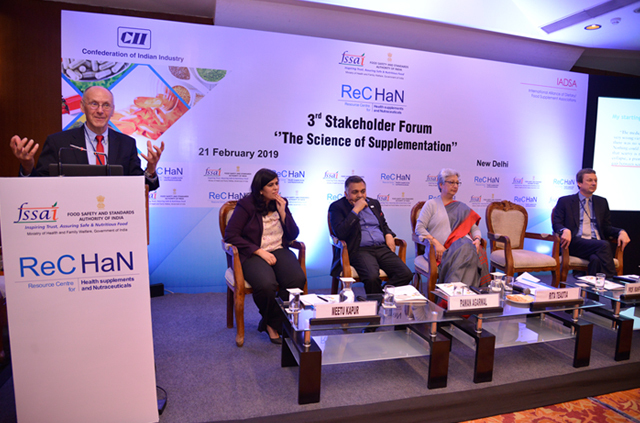 Dr. J I Lewis, Scientific Advisor, ReCHaN conducting the session on Health Supplements & Nutraceuticals Regulations. 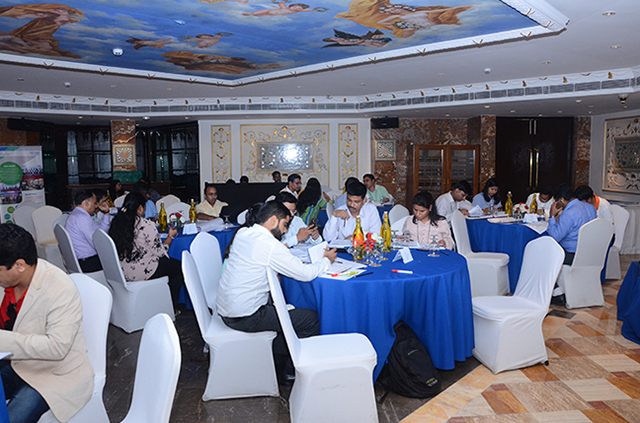 Group Exercise during the workshop on Regulations & Food Safety Management Systems-Health Supplements & Nutraceuticals at The Fern Hotel, Ahmedabad on 08 October 2018. 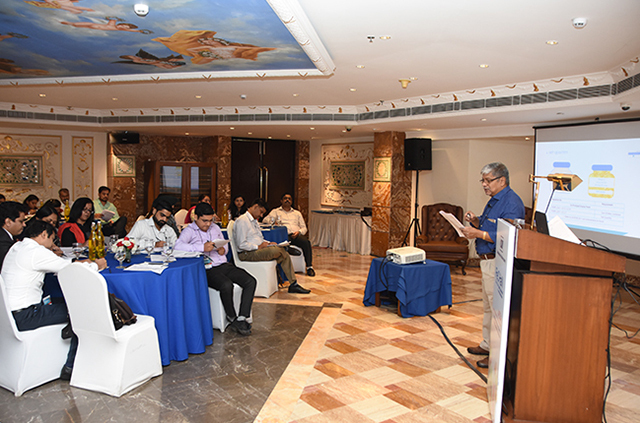 Mr. Sarat Chandra, ReCHaN Faculty, conducting a Group Exercise during ReCHaN workshop on Regulations & Food Safety Management Systems-Health Supplements & Nutraceuticals at The Fern Hotel, Ahmedabad on 08 October 2018. Group Photo- ReCHaN Workshop on Regulations & Food Safety Management Systems-Health Supplements & Nutraceuticals: Day 1-FSMS in Ahmedabad on 08 October 2018. Dr. J I Lewis, Scientific Advisor, ReCHaN taking the session on Health Supplements & Nutraceuticals Regulations on Day-2 of the workshop on Regulations & Food Safety Management Systems-Health Supplements & Nutraceuticals: Ahmedabad on 09 October 2018. Group Photograph: ReCHaN Workshop on Regulations & Food Safety Management Systems-Health Supplements & Nutraceuticals: Day 2 in Ahmedabad on 09 October 2018. 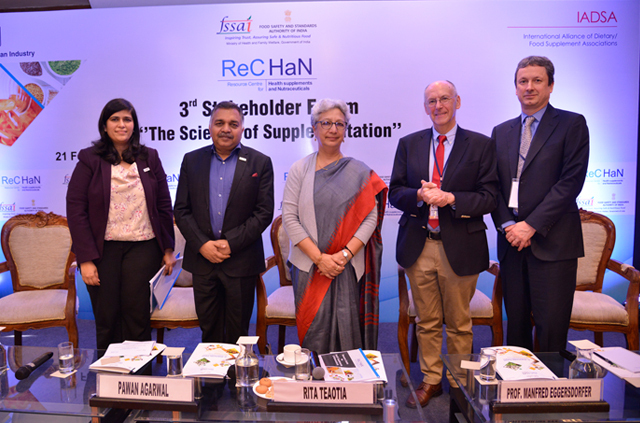 Mr. Ganesh Bhat from Food Safety Standards Authority of India (FSSAI), giving an overview on Regulations in ReCHaN’s Workshop on Regulations & Food Safety Management Systems-Health Supplements & Nutraceuticals in Mumbai on 11 October 2018. 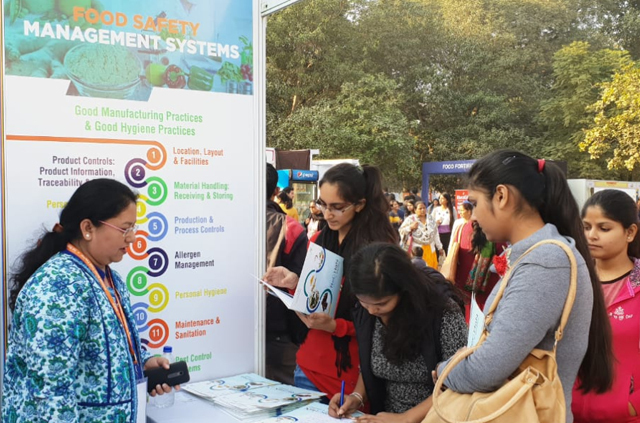 Participants attending ReCHaN Workshop on “Regulations & Food Safety Management Systems-Health Supplements & Nutraceuticals” in Mumbai on 11-12 October 2018. 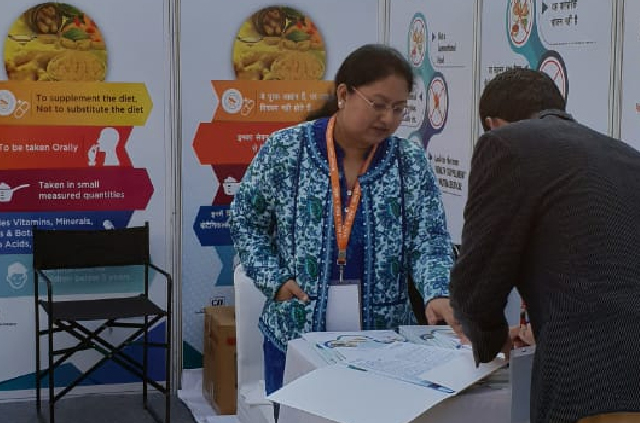 Dr. J I Lewis, Scientific Advisor, ReCHaN taking the session on Health Supplements & Nutraceuticals Regulations and Labelling requirements on Day-1 of the workshop on Regulations & Food Safety Management Systems-Health Supplements & Nutraceuticals: Mumbai. Group Photograph: ReCHaN Workshop on Regulations & Food Safety Management Systems-Health Supplements & Nutraceuticals: Day 1: Mumbai: 11 October 2018. 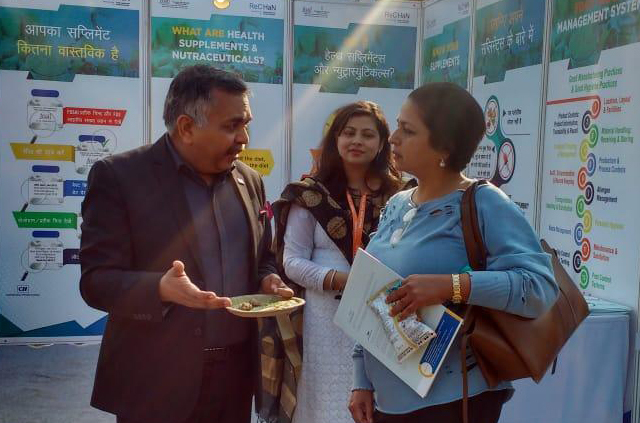 Mr. Sarat Chandra, ReCHaN Faculty, taking a session on Food Safety Management Systems for Health Supplements & Nutraceuticals on Day-2 of the ReCHaN workshop on Regulations & Food Safety Management Systems-Health Supplements & Nutraceuticals in Mumbai. 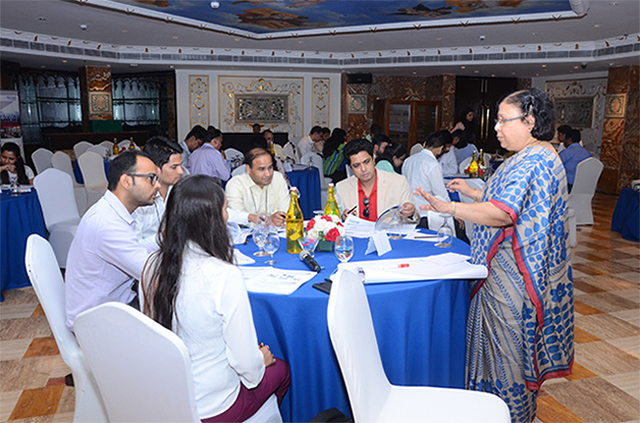 Group Exercise on Food Safety Management Systems-Health Supplements & Nutraceuticals during Day-2 of the workshop in Mumbai. Mr. Sarat Chandra, ReCHaN Faculty, conducting a Group Exercise during ReCHaN workshop on Food Safety Management Systems in Mumbai. 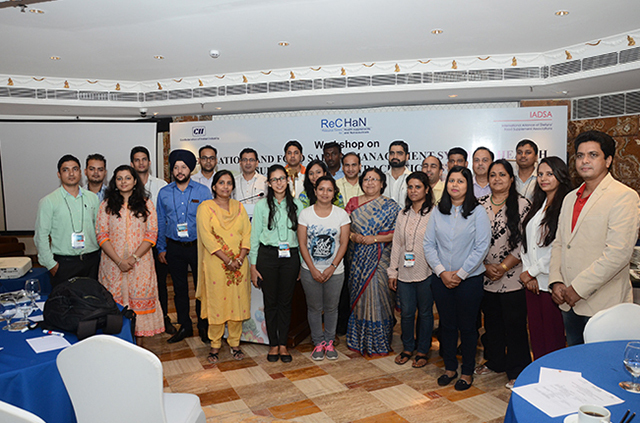 Group Photo- ReCHaN Workshop on Regulations & Food Safety Management Systems-Health Supplements & Nutraceuticals-Day 2: Mumbai. Mr. S. Kuthalingam, ReCHaN Faculty, taking a session on Food Safety Management Systems for Health Supplements & Nutraceuticals on Day-1 of the ReCHaN workshop on Regulations & Food Safety Management Systems-Health Supplements & Nutraceuticals in Chennai. 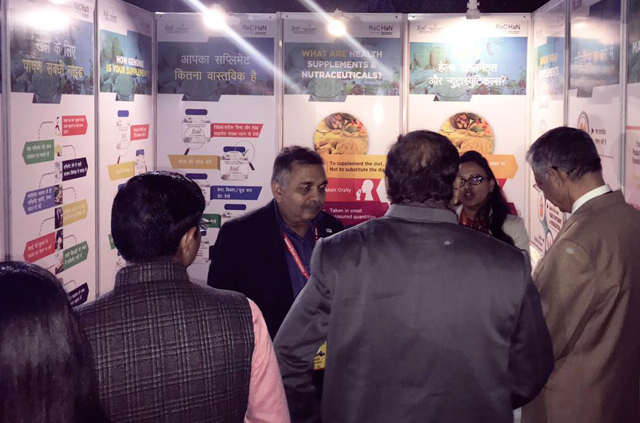 Group Exercise on Food Safety Management Systems-Health Supplements & Nutraceuticals during Day-1 of the workshop in Chennai. Group Photograph: ReCHaN Workshop on Regulations & Food Safety Management Systems-Health Supplements & Nutraceuticals: Day 1: Chennai. Mr. Ganesh Bhat from Food Safety Standards Authority of India (FSSAI), giving an overview on Regulations in ReCHaN’s Workshop on Regulations & Food Safety Management Systems-Health Supplements & Nutraceuticals in Chennai on 25 October 2018. 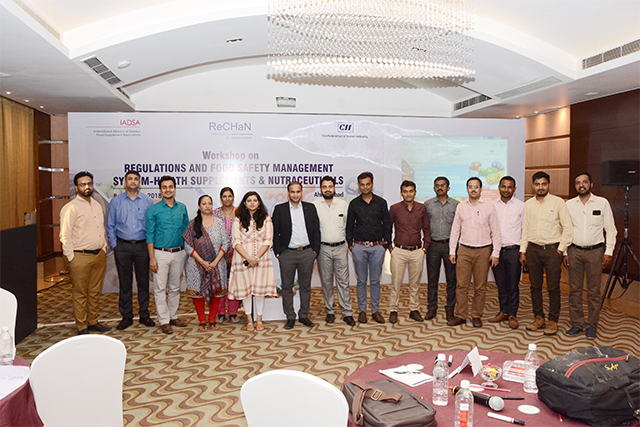 Participants attending ReCHaN Workshop on “Regulations & Food Safety Management Systems-Health Supplements & Nutraceuticals” in Chennai on 24-25 October 2018. Dr. J I Lewis, Scientific Advisor, ReCHaN taking the session on Health Supplements & Nutraceuticals Regulations and Labelling requirements on Day-2 of the workshop on Regulations & Food Safety Management Systems-Health Supplements & Nutraceuticals in Chennai. Group Photo- ReCHaN Workshop on Regulations & Food Safety Management Systems-Health Supplements & Nutraceuticals-Day 2: Chennai.